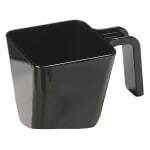 The Carlisle 49122-103 portion cup has a 20-ounce capacity and works well with dry items, liquids, and ice. With its U-shaped handle, contact between hands and product is prevented, reducing the risk of contamination. 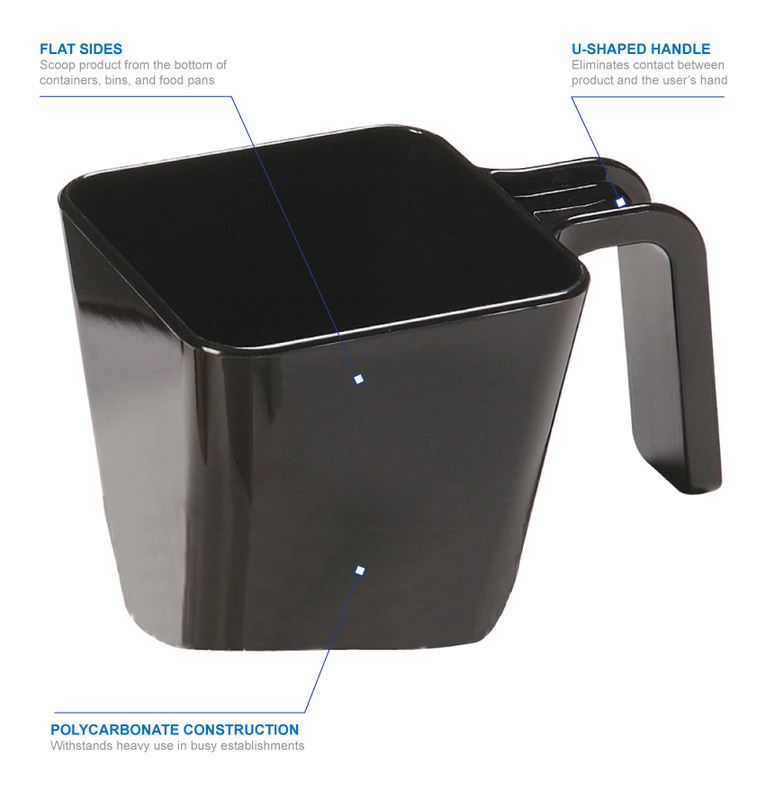 The cup can scoop product from the bottom of bins since it has flat sides. 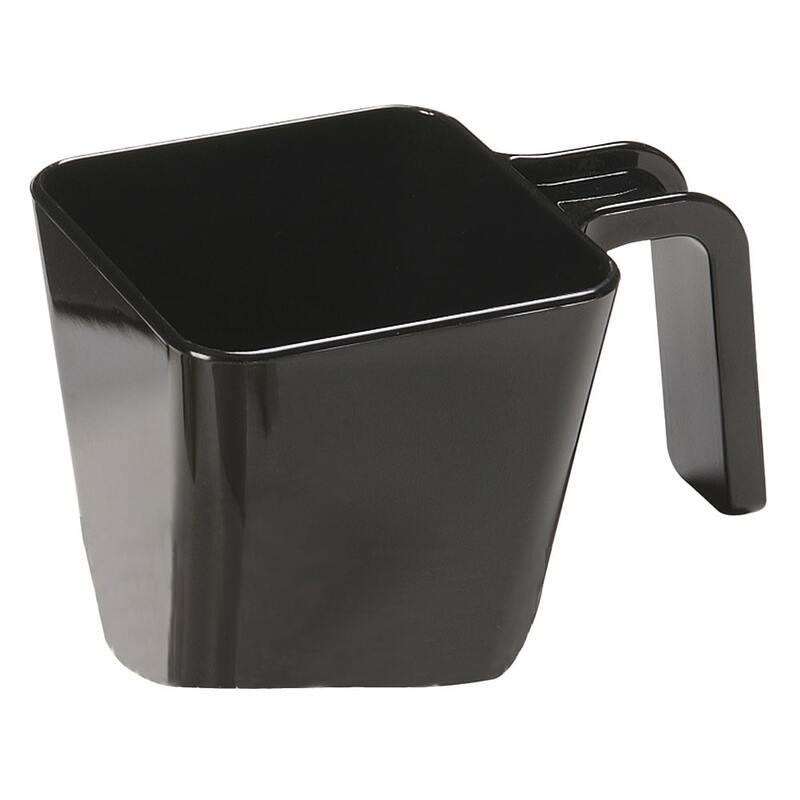 Durable for heavy-duty use, the cup is made of polycarbonate.